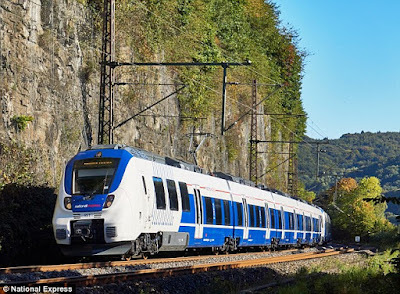 A British rail company that has started running trains in Germany has vowed to deliver ‘very British’ service to passengers in a country with one of the most efficient networks in the world. 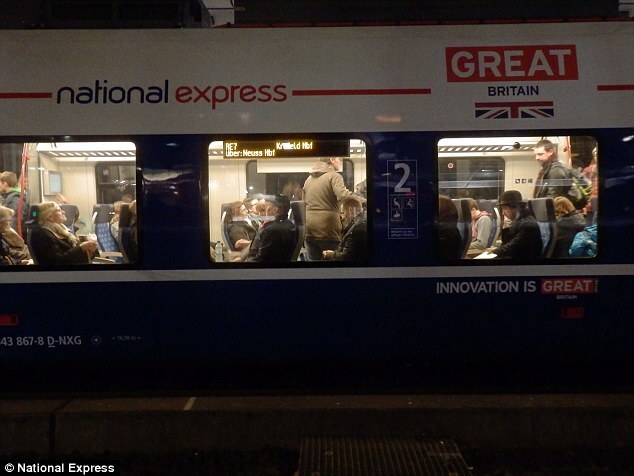 National Express’ promise may draw laughter from commuters in both countries, with Britain’s rail network regarded as being slower, more expensive, more crowded and generally inferior to Germany’s. 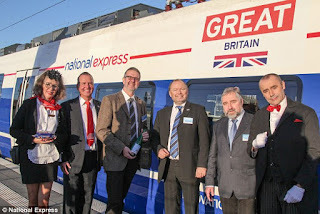 The Birmingham-based company, which operates the c2c network in England, is running services on two lines through cities including Bonn, Cologne and Hamm in the state of North Rhine-Westphalia, with trains featuring the colours of the Union Jack and 'Great Britain' emblazoned on the side. On its German website, National Express announced it will be offering a ‘very British’ service on the Rhine Munster Express. National Express is operating 34 new Bombardier Talent 2 EMU trains acquired from regional transport authorities. The fully-accessible trains can reach speeds up to 100mph and have first and standard class seating. They are expected to carry 18 million passengers a year, and the 15-year contracts are expected to generate about €1.6bn (£1bn) in revenues, the company said. National Express is expanding even further into Germany – Europe’s largest rail market – after signing a contract to operate the Rhine-Ruhr Express service in the same region. This week it was officially awarded a contract to operate the Nuremberg S-Bahn starting in 2018. Nuremberg will be the first German city with overground services that aren’t provided by the state-owned Deutsche Bahn, The Local reported. 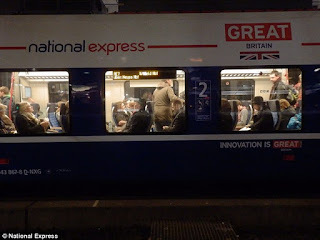 National Express’ c2c network, which runs between London Fenchurch Street and Shoeburyness, Essex, is the most punctual in Britain, with 97 per cent of its trains arriving on time. While some passengers may poke fun at the fact a German service is operated by a British company, at least one consumer said it is a positive development for passengers as it may push Deutsche Bahn to improve services elsewhere in the country. Winfried Karg, from the consumer group pro-Bahn, told The Local: ‘Competition always invigorates business. National Express need to provide reliable and punctual transport. Dean Finch, chief executive of National Express Group, said in a statement: ‘We will be implementing our approach and success in running the UK's best performing franchise, c2c, in Germany.